Flavoured with yummy natural strawberry, this tasty toothpaste will be loved by kids. It’s fun, fresh and fruity but also includes Calcium Carbonate which will make sure your teeth are properly cleaned and protected. This toothpaste makes sure your smiles are happy and healthy! Additionally the tube is easy to squeeze. Directions: Adults and children 6 years of age or older: Brush Teeth thoroughly, preferably after each meal, or at least twice a day, or as directed by a dentist or physician. Instruct children under 6 years of age, in good brushing habits (to minimize swallowing). Supervise children as necessary until capable of using without supervision. Children under 2: Consult a dentist or physician. Children under 6: Use a pea sized amount. Glycerin, Aqua (Water), Hydrated Silica, Xylitol, Xanthan Gum, Aloe Barbadensis Leaf Juice (1), Calendula Officinalis Flower Extract, Calcium Carbonate, Caprylic/Capric Triglycerides, Panthenol, Sodium Lauroyl Sarcosinate, Sodium Sulfate, Benzyl Alcohol, Triacetin, Flavor (2) (1) Certified Organic Ingredient (2) Strawberry. 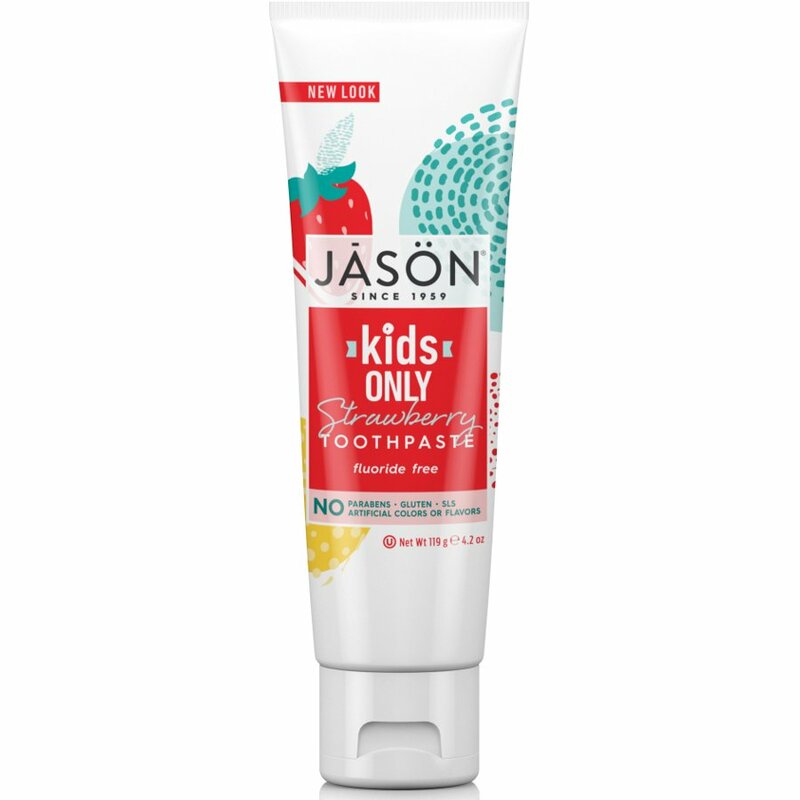 There are currently no questions to display about Jason Kids Fluoride Free Strawberry toothpaste - 119g.